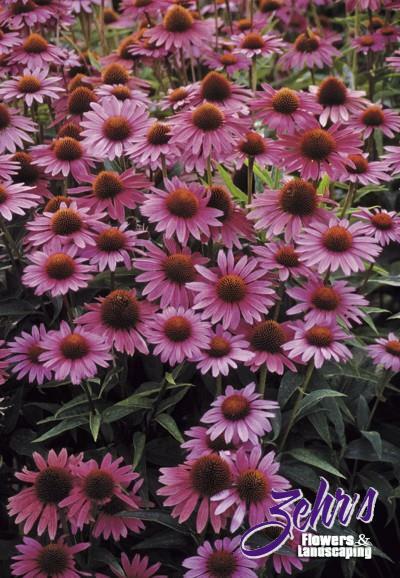 A new and improved version of the highly popular cultivar 'Magnus', this cultivar has deeper lavender pink blossoms, darker stem color and larger coppery orange cones. Consistent growth habit. Blooms in mid summer, and if deadheaded, will bloom well into autumn. Excellent variety for rain gardens.